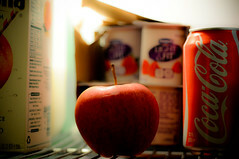 With four council members speaking out against the Soda Tax yesterday, it appears the bill is all but done for in the general hearings, but chairman Vincent Gray has asked for council staff to look into other methods for raising the $6M necessary to fund the health food program for DC Schools, which may include extending the 6% sales tax to soda purchases of all flavors, not just the sugary kind. Extending the sales tax seems like a good idea. Soda isn’t a grocery item. It’s discretionary. Targeting it for a special tax is one thing…making people pay sales tax on it is another.